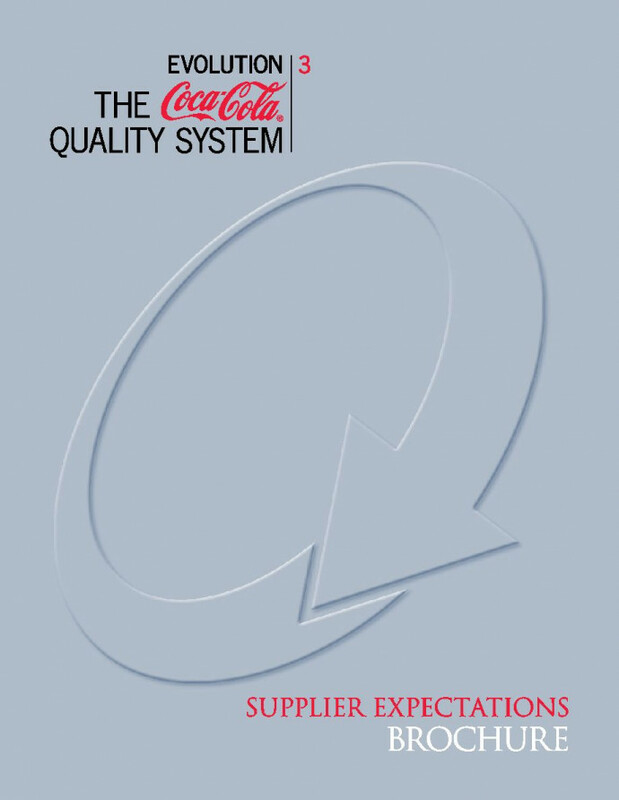 The chain of value created by the Coca-Cola system begins with the products and services you provide to us. Delivering the highest quality requires consistent xecution—by us, our bottling partners, our distributors and our retailers. But it starts with you, our suppliers.